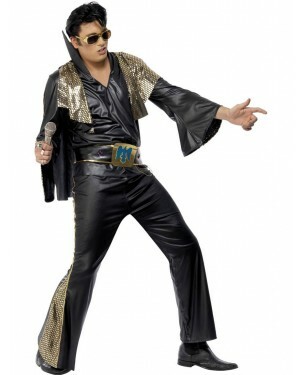 Take centre stage with any of our Pop Star Fancy Dress Costumes. This fun theme is perfect if you want to stand out from the crowd and take the spotlight by becoming your favourite Pop Star for the night! Whether you want to take a trip back into the decades, such as the ever popular 80s with outfits like Madonna or Boy George, or you want a modern look like Gaga, we have a fun range of Pop Star Costumes to choose from. This is also a fantastic choice for group fancy dress - with iconic groups such as the Spice Girls, Abba and The Beatles providing brilliant group fancy dress looks. 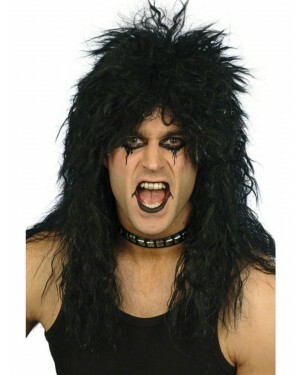 If you have a decades theme Pop Star Fancy Dress Costumes are a great choice. 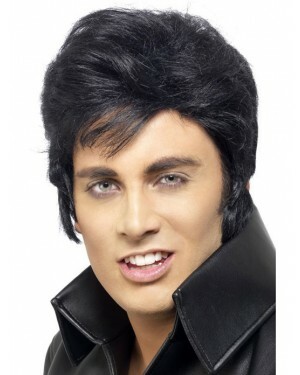 Starting with the 50s the ‘King’ Elvis is a great choice and we also have a range of Female Elvis Costumes for a fun twist on this iconic look. Into the 60s the Beatles are an ever popular choice and perfect for group fancy dress. The 80s provide choices like Madonna and Boy George with their eclectic look - perfect if you like accessories and to create your own style. Last but certainly not least the 90s bring the iconic Spice Girls along with Pop Star Costumes such as the Part Starter and fun Punk Rock Costumes! 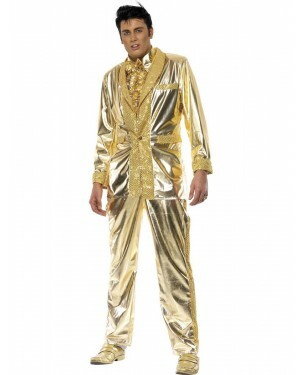 There are of course also some 21st Century Pop Star Fancy Dress Costumes to choose from with modern looks based on stars like GaGa, Katy Perry and stars who have lasted through the decades such as Madonna. Once you have chosen the perfect Pop Star Costume for you, all that’s left is to add your accessories, from an inflatable guitar to a microphone, to complete any look to perfection. Glitter Microphone – Black handled Microphone with a silver glitter top.